Fjällräven unisex Backpack, ref. 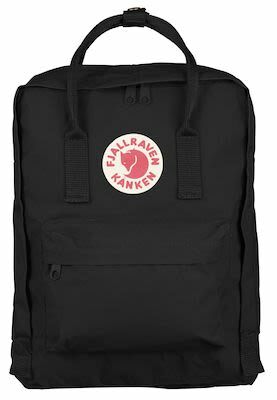 : 23510, trade line: Kanken, colour: navy, size: 16L, material: 100% vinylal, color: black Originally designed for Swedish school children in 1978, the Kånken has become a beloved icon for kids and adults around the world. Durable Vinylon F material repels moisture better than any other synthetic fabric, while the vast color palette complements every task and style.